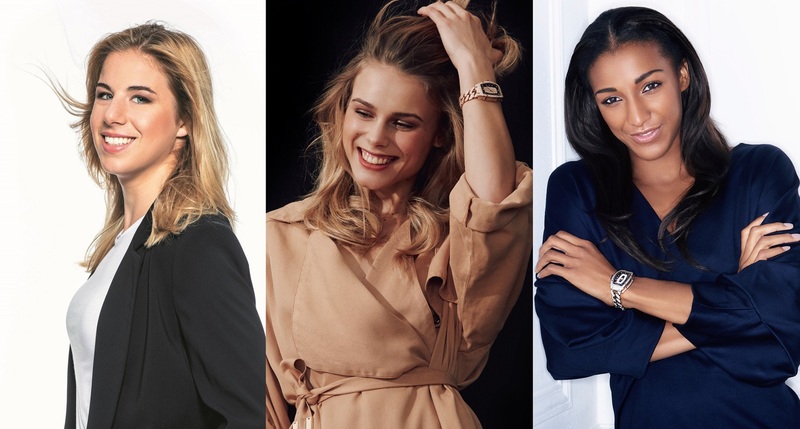 The Swiss watchmaker has teamed up with Ester Ledecká, Yuliya Levchenko and Nafi Thiam. Although not traditionally a watchmaker associated with sporting watches for women, Richard Mille’s timepiece portfolio is soon set to change with this new collaboration, which is already making waves in the sporting world. Find out the three female athletes that grace the brand. The 23-year-old Czech native, whom Richard Mille welcomed into the brand’s family of women sports partners last year, is the only person ever to forge an international career in both snowboarding and alpine skiing at the highest level. Ledecká is from a family of athletes and artists: her grandfather was a World Cup ice hockey champion and her mother was a figure skater. Her father is a renowned composer and her brother is a recognised comic-book artist, who also happened to design her racing suit. When she was five years old, she won the first race she ever entered in the Milca Cup series and she has remained a winner since. In 2013, she was a two-time gold medallist at the World Junior Championships and won the parallel giant slalom at the 2014 World Cup, her first professional career success. She is a two-time snowboard world champion, with victories in 2015 and 2017. Being a champion is a habit she has found hard to break, most recently winning double gold in skiing and snow-boarding at the 2018 Winter Olympics in Pyongchang, South Korea, where she surprised everyone by winning the Super-G. Even before winning her medals, Ledecká had already taken up a challenge: qualifying for the Olympics in two different sports. Ledecká is, however, living proof that having success in your genes is not enough. You need real determination, expertise, passion, genius and, above all, guts to make it work. Ledecká has already been road-testing the RM 007 Titanium and soon she will wear a prototype of the RM 67-02 Automatic Extra Flat. 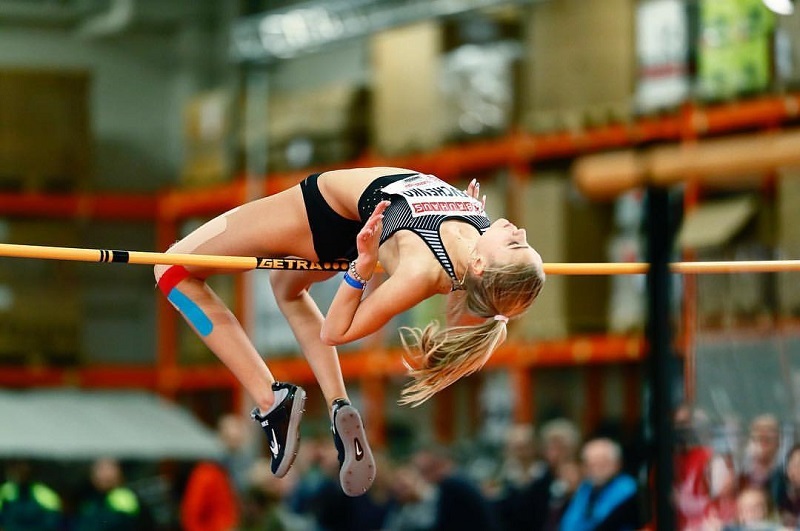 A specialist in the high jump, Yuliya Levchenko has catapulted to stardom. In just four years, she has gone from clearing 1.7m to 2.01m at the latest World Championships in London, which earned her a silver medal. The youngest of Richard Mille’s partners, Levchenko will certainly find a place next to Mutaz Essa Barshim, the undisputed king of the high jump. At just 20 years old, the lithe Slav — whose beauty is exceeded only by her performance — is already shattering expectations. Born in Kiev, Levchenko trains indefatigably to become the best. The young woman attracted attention at the age of 17, with a personal record of 1.83m at the Youth Olympic Games. She would go on to win the Olympic title, besting herself yet again by clearing the bar at 1.89m. From then, her career really took off. After winning a bronze medal at the 2016 World Junior Athletics Championships, she claimed gold in the U23 European Championships, followed by two silver medals at the 2017 Diamond League and World Athletics Championships. A born competitor, who constantly strives to surpass herself, Levchenko has improved on her personal best with every event. This remarkable feat earned her the title of best female athlete 2017 in her homeland, Ukraine. Richard Mille relishes working with such high-performance athletes. His very personal relationship with the brand’s partners, which finds form in watchmaking developments, is reinforced by a shared desire for ever greater performance. The high jump especially requires absolute precision, perfect technique and a superlative power-to-weight ratio. With his keen eye for spotting young talent — such as Alexander Zverev, the world’s current No 3 tennis player, who was No 38 on the ATP Tour in 2016, when he joined the Richard Mille family, or racing driver Charles Leclerc, Alpine ski racer Alexis Pinturault and so many others — Mille will support the young Ukrainian athlete in her endeavours. On the field, she will leap for the gold sporting an RM 07-01 Automatic Ladies in Carbon TPT. 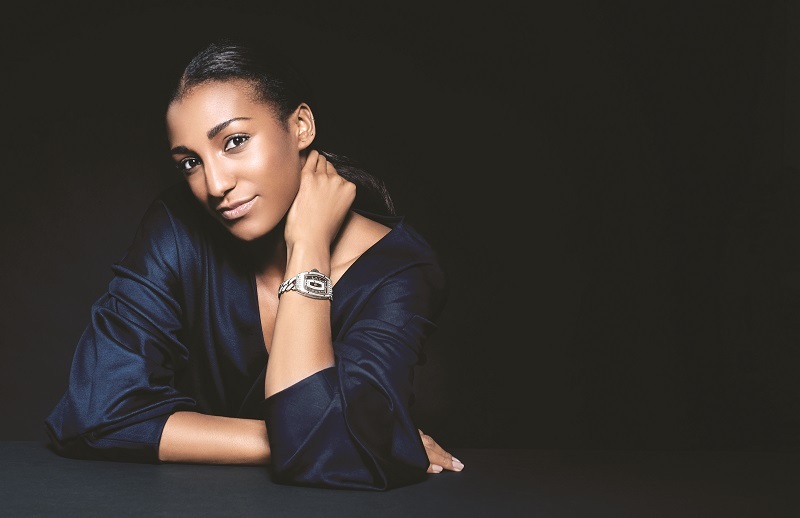 A specialist in combined events, victorious in the 2017 World Championships and 2016 Rio Olympics, Nafi Thiam is the first woman track-and-field star to join the Richard Mille team, alongside high jumper Mutaz Essa Barshim and sprinters Yohan Blake and Wayde van Niekerk. At only 23 years old, her list of achievements makes her one of the world leaders in athletics. European junior champion in 2013 and European indoor runner-up in 2015, the Belgian athlete won the gold medal in the heptathlon in Rio. She was voted rising star by the International Association of Athletics Federations in 2016 and female athlete of the year in 2017, alongside her Richard Mille partner, Barshim, who was the male athlete of the year. At the 2017 Hypo-meeting in Götzis, Austria, Thiam shot to third in the world all-time heptathlon list by scoring 7,013 points and won the gold medal at the World Championships in London. But Thiam prefers to talk about her objectives for the future rather than medals won in the past. 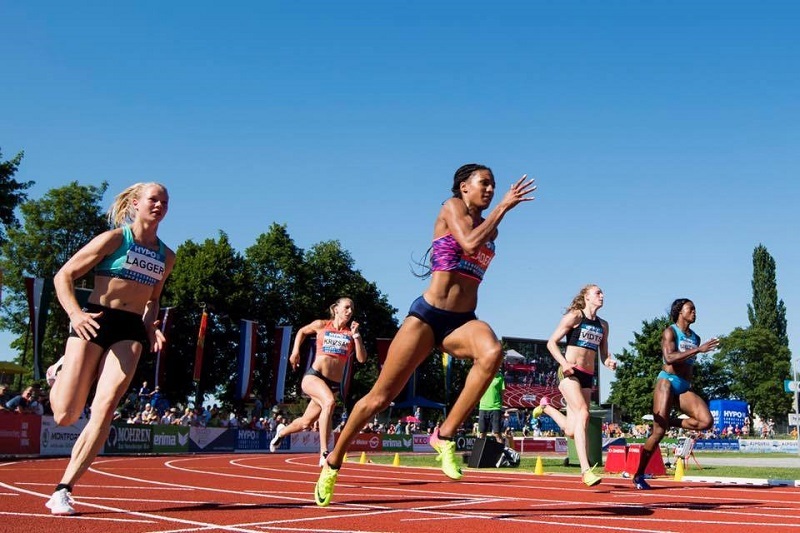 It was for this reason that she chose not to compete in last year’s World Indoor Championships but to concentrate on the European Championship in Berlin. “There won’t be an Indoor Championship for me ... I want to remain 100% focused on my No 1 objective, which is the European Championships! I’m training hard and my sights are set on Berlin. I prefer to concentrate on my general progression rather than medals and victories,” she said at the time. Thiam is certain that by working continuously to improve her personal records, good results and high scores will inevitably follow.Mille was immediately drawn to the determination and capacity of this young athlete, as the heptathlon is one of the most complex disciplines in athletics and heptathletes are considered the most complete athletes. Thiam will wear an automatic lightweight and water-resistant watch. “I am proud of my partnership with Richard Mille and to work with this extraordinary team, with whom I share the same desire to always aim higher and push to the limits,” she says. In the same way that Mille developed the RM 67-02 Automatic in Quartz TPT with Barshim and van Niekerk, the watchmaker is currently thinking about a sports watch for women.